Dragon Awaken is a browser based fantasy RPG with hero and team building gameplay, Dragon Awaken makes players the central protagonist that is destined to save the world as they assume the role of the legendary Dragon Warrior. 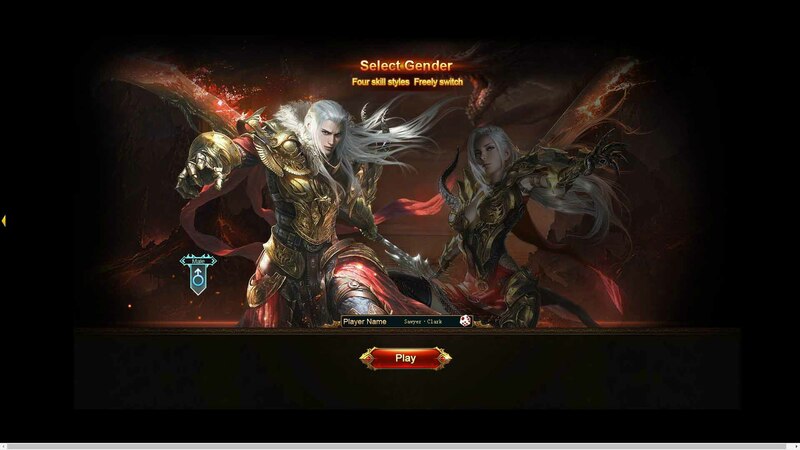 In Dragon Awaken players are tasked with progressing through the games campaign to uncover their fate, but on their journey must recruit the services of powerful champions to aid them in their quest. With PVP and PVE content the game provides a lot of things for players to do, and is completely free to play. The game uses a VIP system where players purchase premium currency through a Recharge mechanic, that will in turn increase their VIP level and give a player various improved bonuses when they trigger their VIP status. At its core the main objective of the game is to improve a character and recruit various heroic champions, levelling them up and overall increasing their Battle Rating (BR); the numerical score to show how powerful a player’s team is. As players get stronger they will be able to fight against higher level content and events; the game is extremely combat focused with PVE and PVP content and also a long story-driven quest campaign. The player plays as the iconic prophesised Dragon Warrior destined to return balance to the world; this character has no class choices at character creation but players can make a male or female character. Instead players can discover various Dragon eggs and breed them from whelps into powerful dragons, these dragons come in various damage types such as a Frost, Rock or Flame Dragon. Dragons are levelled up over time to improve their abilities and in combat they offer an immense amount of destruction against opponents. The Dragon Warrior earns XP automatically when completing content, but they can be improved and upgraded in various other ways as well as being equipped with different items, weapons and armor. The level of the Dragon Warrior determines the max level that other hero companions can be levelled to. Players will comes across various champions through the PVE Campaign that they must face as part of their story advancement. Once defeated these champions offer their services to the player and can be recruited through the Tavern by spending Essence. Companions come in various class styles with their own strengths, weaknesses, stats and skills; these stats and skills can be improved by spending XP Scrolls to level up a companion. When recruited the Companion can be put into the players active battle formation; using the Arrange mechanic players can place five different Companions into their battle formation. The position a character takes in the formation can determine which enemies they will target in battle as well as whether they are a priority target for enemies (such as a front-line defender). Combat is a mix of automated combat with some controllable elements. The Dragon Warrior’s abilities can be controlled by the player who must use some skills to build up the Dragon Warrior’s Rage meter then spend this Rage to use other more powerful abilities. Companions use their abilities on enemies automatically and players do not have control over them. Players cannot choose which enemies are attacked, with the Dragon Warrior or Companions, and their target priority changes depending upon their position in the formation. Players can opt for a full AFK combat mode where the AI takes control over their Dragon Warrior as well as companions. Combat is the main focus of the game and there are plenty of PVE options to choose from, but players can also battle against each other in the Arena. Here players challenge an opponent and their own assembled Companions, the opponent must be within their rank range and is then controlled by the AI. Resources, ranks and rewards are earned through PVP as well as the ability to climb the rank ladder for more rewards and the ability to purchase items from the PVP Honor Shop. Looking for more Free MMO Browser-based games,Free MMORTS games?